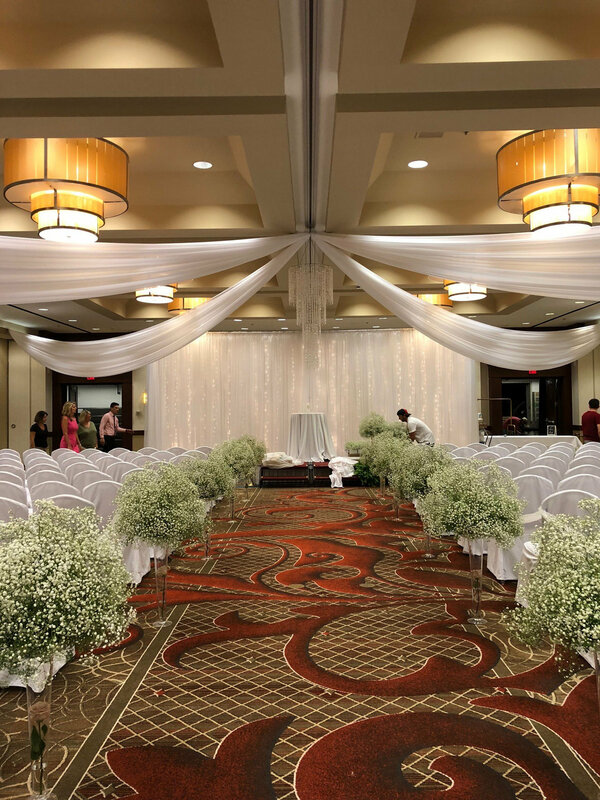 Looking for just a little something extra to accent your wedding decor at the Des Moines Downtown Marriott? Why not consider ceiling draping. Call today for your rental quote from Beyond Elegance.